THE North Wales Economic Ambition Board is spearheading a £56m project that will revolutionise and enhance digital connectivity across the region. Led by the Board – which is made up of the six councils, the North Wales and Mersey Dee Business Council, colleges and universities – it is focused on bringing the area in line with other parts of the country and giving businesses a level playing field. Four of the six counties in North Wales rank in the bottom 25% of UK Local Authority areas for superfast (>30Mbps) broadband coverage – Gwynedd, Denbighshire, Anglesey and Conwy. Colin Everett, Chief Executive of Flintshire County Council, says they have developed a strategy identifying key challenges spatially and by sector. “North Wales has lagged behind the rest of the UK for many years in terms of coverage and capacity,” said Mr Everett. There are action plans with affordable gigabit services and ultrafast full-fibre broadband top of the agenda, supported by the Welsh Government. Full Fibre passive infrastructure: Building a comprehensive access duct network, and ensuring backhaul provision to facilitate end-user access to advanced full fibre services provided at the identified key sites. With appropriate planning of duct infrastructure, this will support the key manufacturing and energy sectors.Public sector anchor tenancy: By creating a local commercial demand, connectivity at public sector buildings can support extension of core networks to private sector premises. Policy support: Local authorities can consider how their policies may have an impact on network operators and introduce measures to minimise barriers to development of digital infrastructure. Market intelligence: Providing network operators and service providers with up to date, quality local information on current and forecast demand, e.g. new housing developments or commercial inward investment will highlight telecoms opportunities in good time. Affordable gigabit services: Gigabit bandwidth services to suit all budgets; including ‘contended’ ultrafast full fibre broadband suitable for microenterprises and SMEs not needing the more expensive traditional ‘leased line’ service typically used by larger organisations. 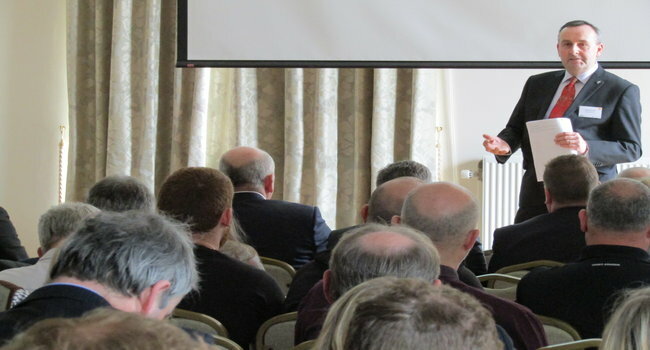 At a Board forum held at Bangor University in April, Wrexham’s Head of Housing and Economy Steve Bayley pointed to the wider consequences if the issues are not resolved. “Most of North Wales falls into that lowest quartile of the UK, which has to be addressed,” said Mr Bayley. “Demand has grown over the past few years and we are all part of that, with households using social media, live streaming, laptops, phones and more on a daily basis. “We need this boost, current businesses especially, and it’s about future proofing and supporting them so they can remain competitive and at the forefront of industry, without these obstacles.